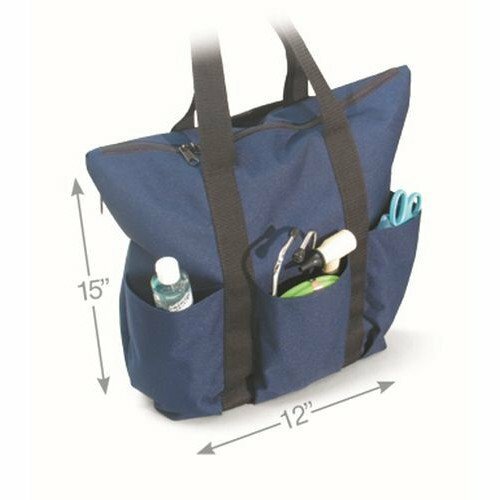 Tote 3 Pocket 600D, manufactured by Hopkins Medical Products, is a cost-effective, zippered medical tote for traveling healthcare professionals. To make this medical tote ideal for traveling clinicians, it is made of durable, waterproof polyester material. The Tote 3 Pocket 600D, additionally, offers three, easy-to-access pockets on the exterior shell. Making travel effortless, this nursing bag offers extra-long shoulder straps, made of nylon, that will offer you unparalleled comfort. Contoured handles, furthermore, adorn this medical equipment bag, making it fashionable. Depending upon your needs as a traveling clinician, you can order the Tote 3 Pocket 600D with a combination lock, ensuring that you are compliant with HIPAA regulations. Either model you choose, though, this medical tote comes with interlocking zippers that will provide imperative security for transporting patient sensitive information. Available with or without a combo lock. Product Numbers: 530792, 530793, and 530792CA. Color: Navy with black trim. Nursing Bag Length: 12 inches. Nursing Bag Depth: 5-3/4 inches. 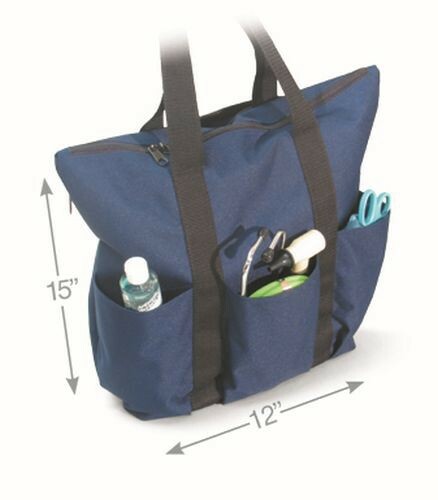 Nursing Bag Height: 15 inches.